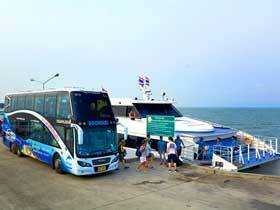 You are making a reservation for the 09:00 Boonsiri Catamaran and Bus from Koh Kood to Trat Airport. Trip information: This is a Catamaran Ao Salad to Laem Sok then Bus to Airport. If you know them, please also enter the names of your hotels in Koh Kood and Trat Airport.